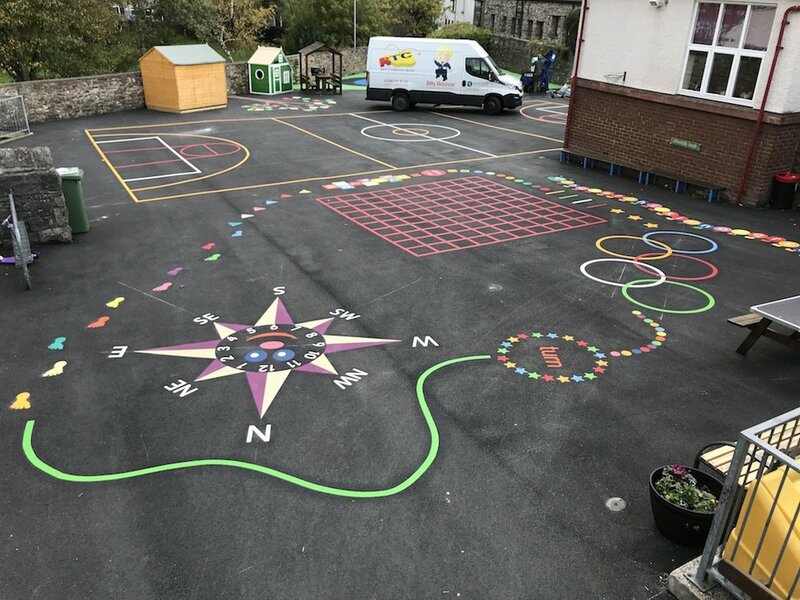 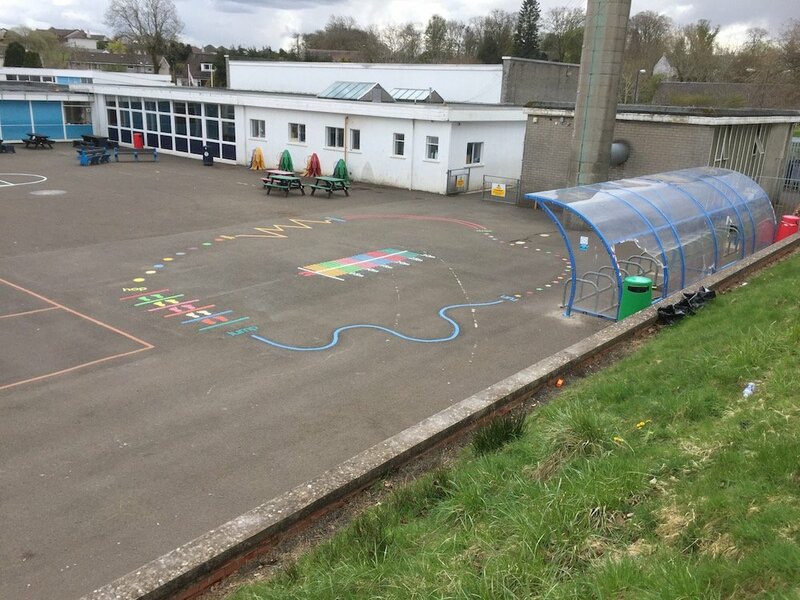 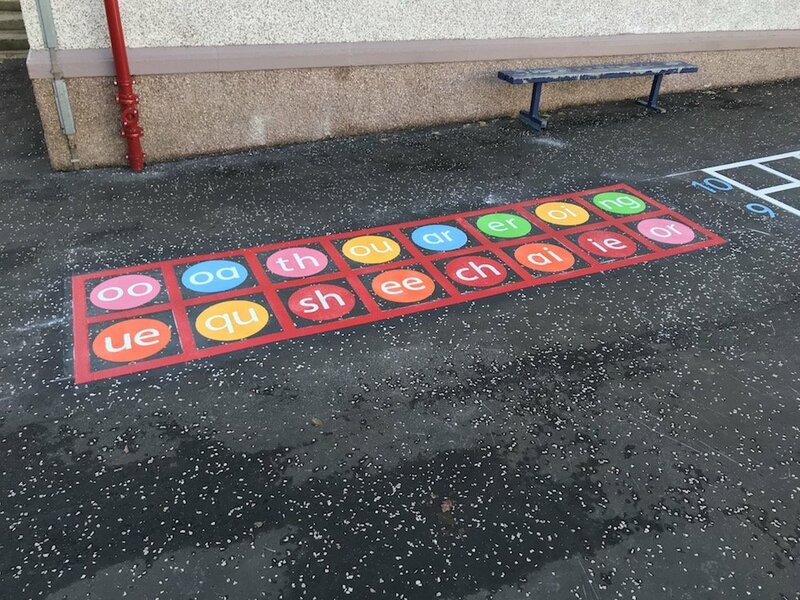 first4playgrounds installation team just completed a range of Thermoplastic Playground Markings at a Primary School in Blakelaw, Newcastle Upon Tyne. 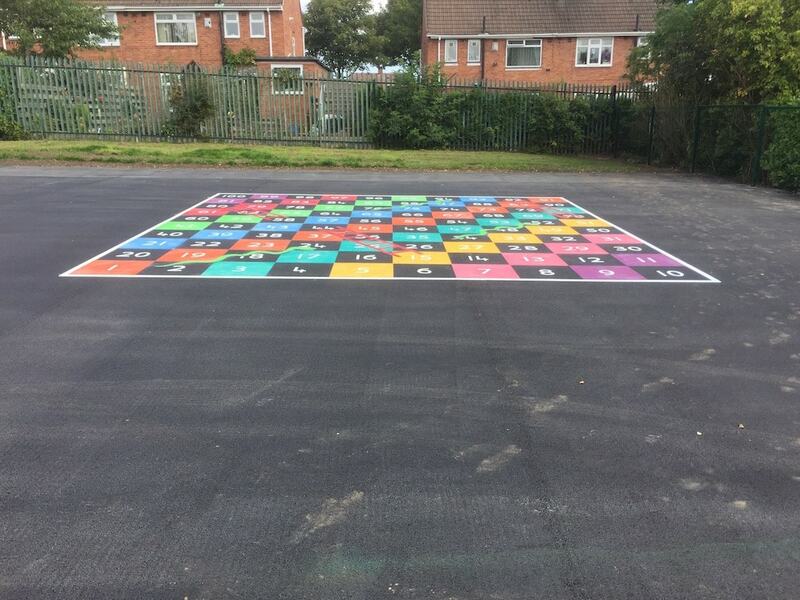 This consisted of a Half Solid 1-100 Snakes and Ladders Grid and an Olympic Sprint Track. 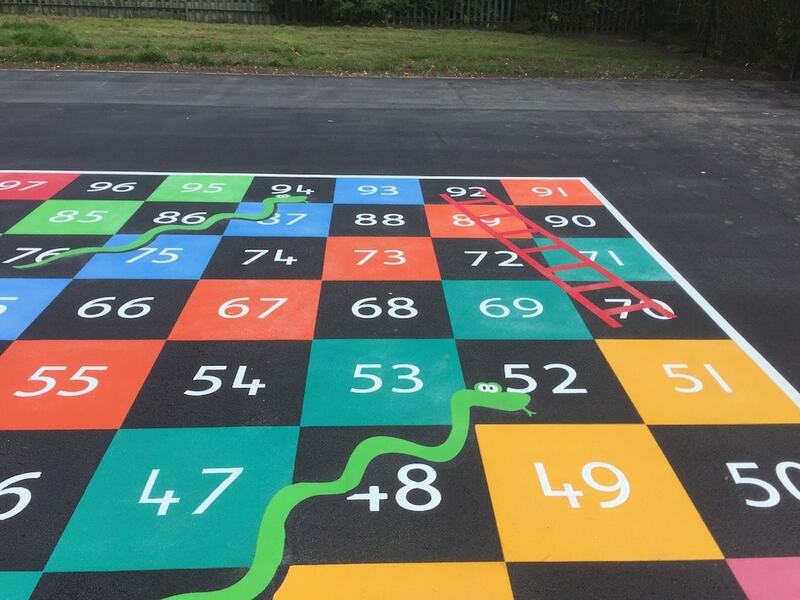 Firstly the team installed this Half Solid 1-100 Snakes and Ladders Marking. 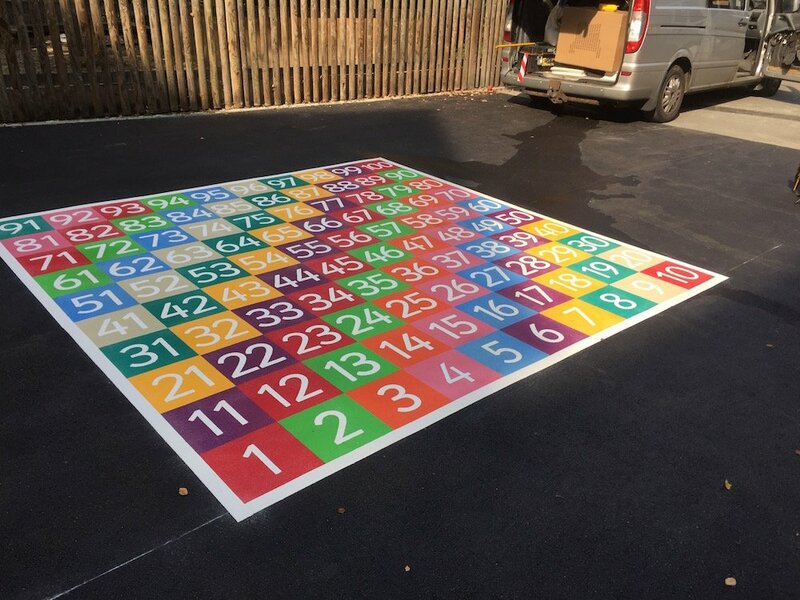 With each square at 600mm this grid was huge! 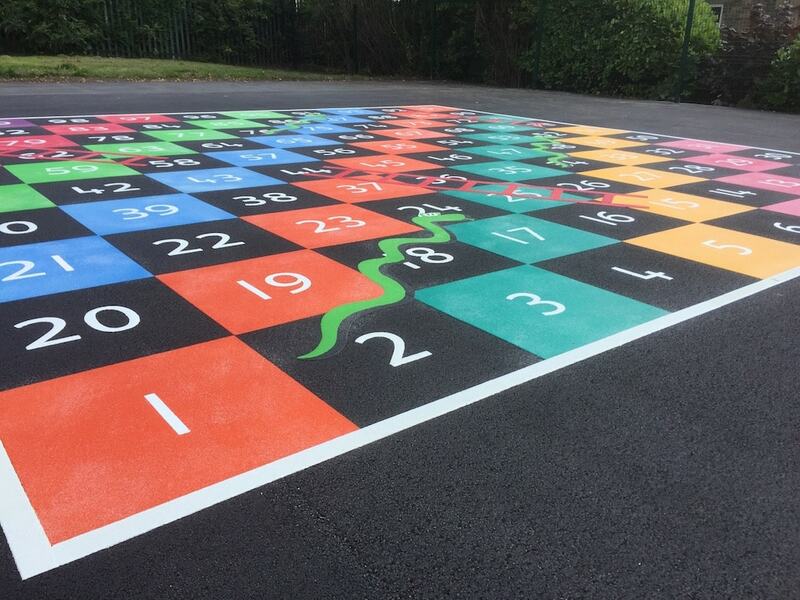 This is one of our most popular markings. 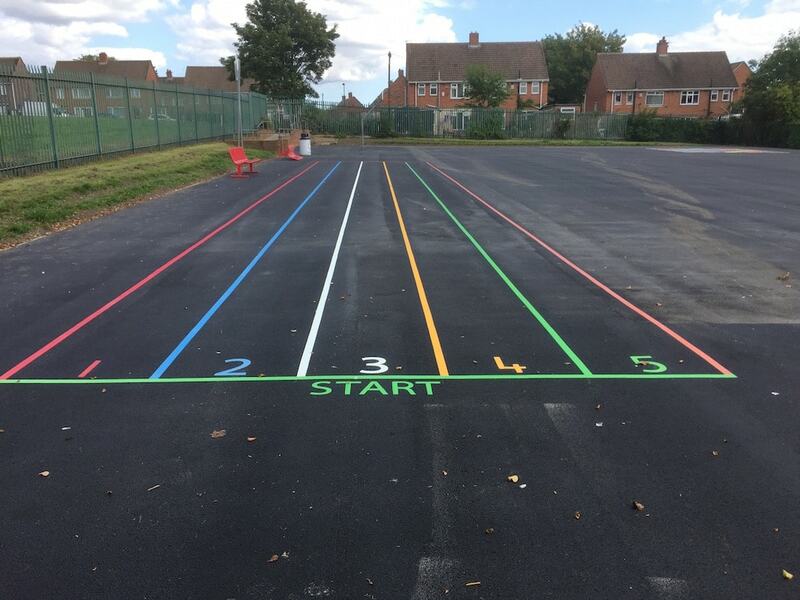 Next our team installed this 5 Lane Olympic Sprint. 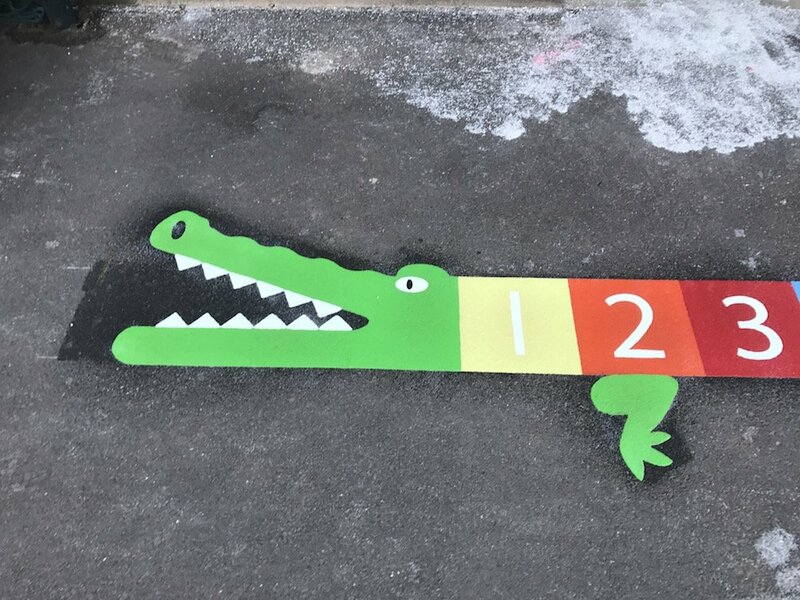 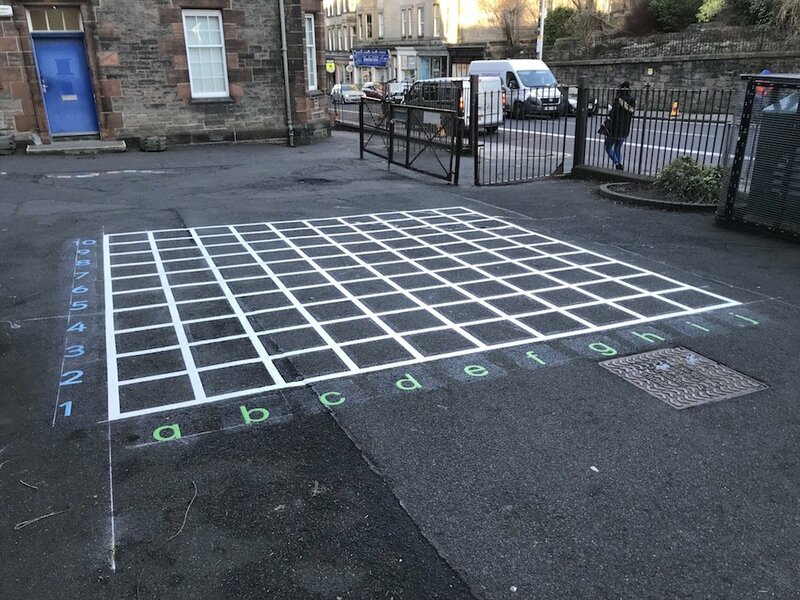 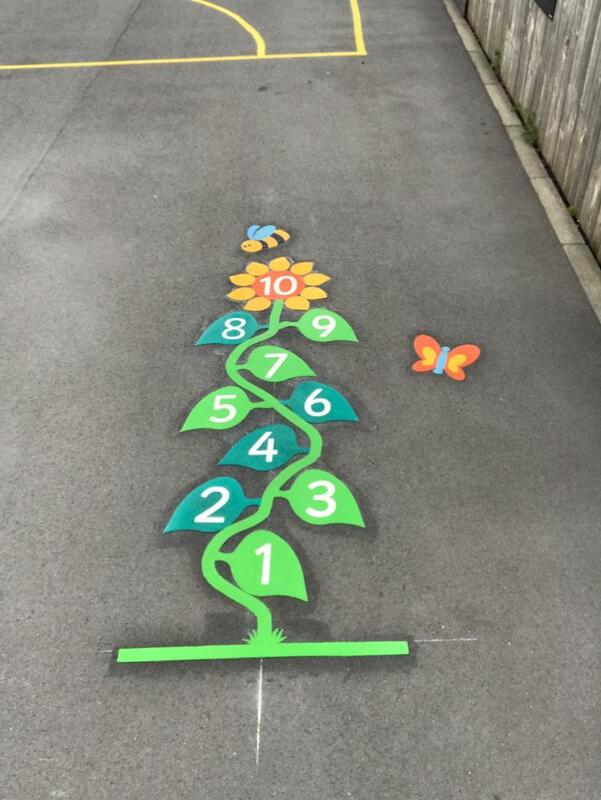 This Marking is a great addition to any school or play area. 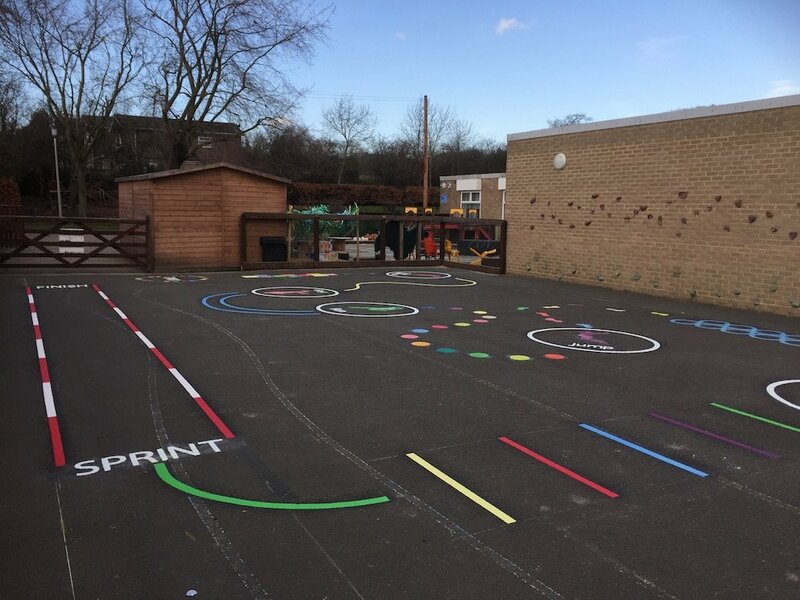 Encouraging children to get active and stay fit!